We're almost to the weekend people! I'm so excited that I don't even care that it's Thursday. 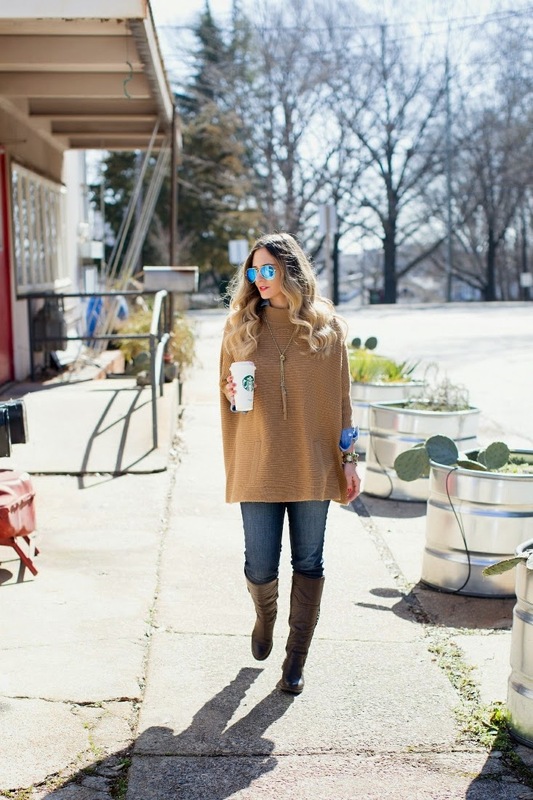 This outfit is all about layering (more layering!) for spring. A chambray shirt is so incredible versatile. If you don't own at least one right now, you need one immediately! Don't worry, I've scoped out a few options for you to shop and listed them below. Revlon Lipstick in "Fire & Ice"
Chambray under anything. Chambray over anything. Chambray on its own! It's so perfect for just about any occasion. 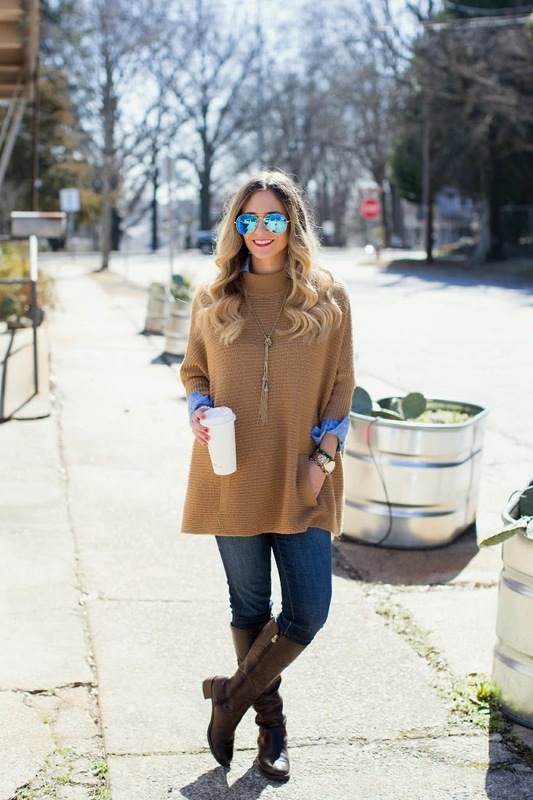 I love the way the sleeves turn up underneath this sweater poncho. I recnetly saw a blogger wearing a light wash denim shirt and I can't stop thinking about it. I think it might be next up on my list! Have you entered my giveaway yet? Don't miss out! 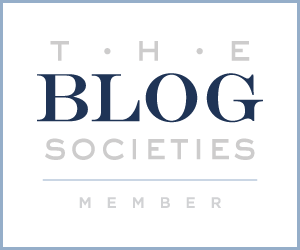 Shop some fantastic chambray shirts under $100 below! 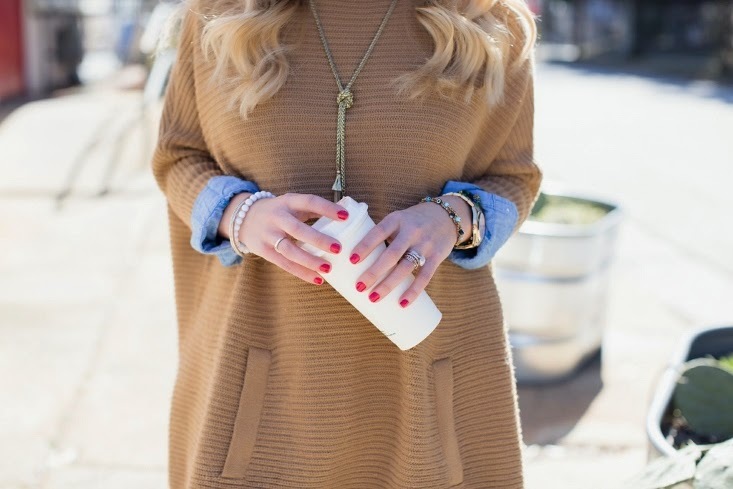 Yay for tan and chambray! We are kind of twins today! A chambray shirt is a must have! Love this layered look for spring! Girl you rock a poncho. 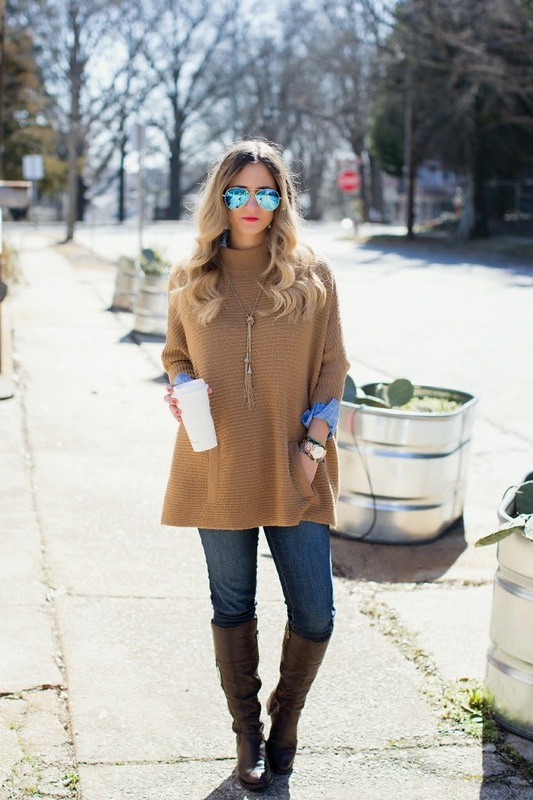 Love the tan and denim color combo! love the outfit! so chic! those sunnies are perfect! 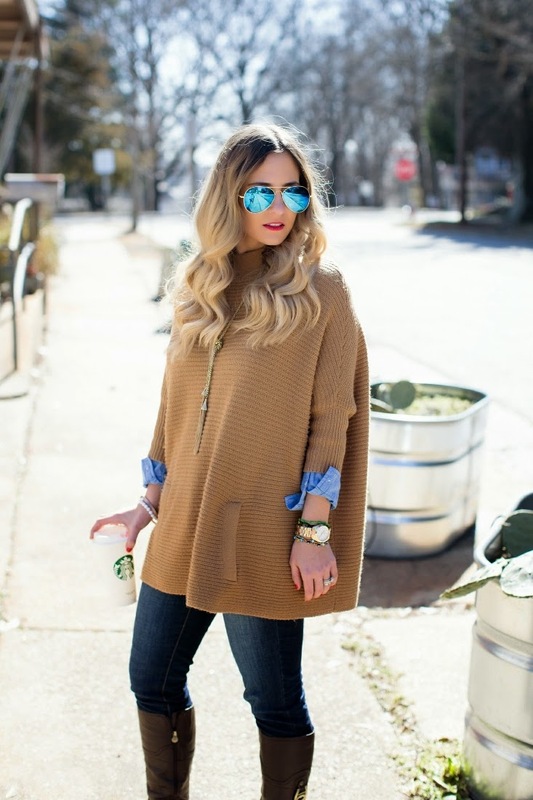 Love the idea of layering a chambray with the poncho! Thank you for joining TBT Fashion link up and hope to see you Thursday. Amazing post! 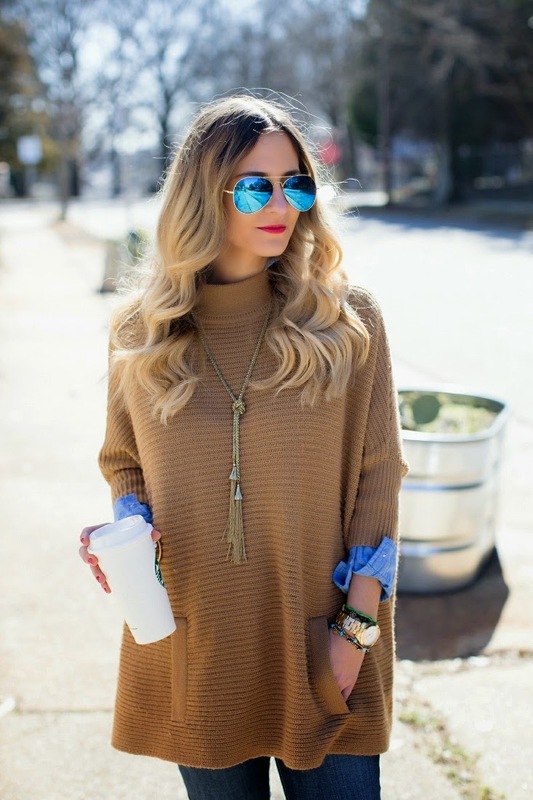 I'm obsessed with this chic poncho! !